A METALgrommets.com digital emailed gift card voucher is a perfect gift for the handy man, the seamstress, crafter, sign maker or banner creator. The digital gift card gift voucher sits in the users account until they use it and never expires! Give the gift of grommets! 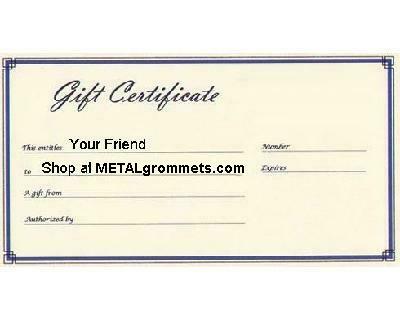 Buy METALgrommet.com gift cards for your friends, family or yourself. They can buy grommets for their grommet attaching machines or they can buy metal grommets for banners, flags, tags, textiles, tarps, signs, business and home use. 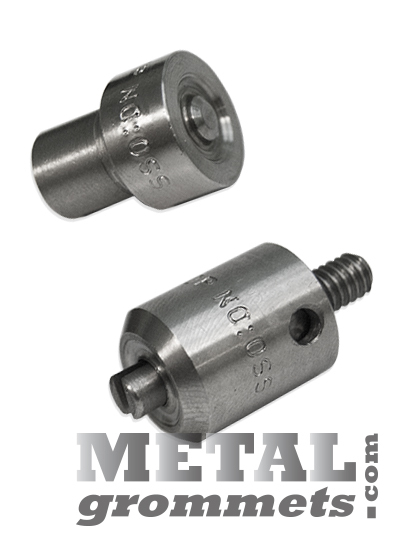 If your METALgrommets.com e-mail gift card is used to buy grommets, a ClipsShop self-piercing stainless steel grommet attaching die and a ClipsShop CSTEP-2 table top bench hand press will compliment the grommets perfectly. Purchase in increments of the amounts below!